Last year Agile On The Beach 2013 was approached with an excited anticipation of the unknown, and relatively newly having joined the Agile party. With lessons learned and applied from 2013 I was keen to capitalise on Agile On The Beach 2014, and bring new ideas and things to try back to my team. This year is the first Agile On The Beach to be sponsored by IBM. I looked forward to meeting up with the other IBMers and getting their views on our Cornish Agile Conference. Nice to meet you all, learn more about Rational Collaboration Lifecycle Manager, and see Jon Tilt’s presentation: ‘An Agile Journey – Making The Elephant Dance’. The phone controlled car demo was a great plug for Bluemix… I didn’t spend hours driving it and chewing Rational’s Glen Mitchell’s ear off about cars, the Nürburgring, and anything with an engine… It was also great to overhear two delegates discussing how they didn’t know of Bluemix’s existence before the conference and that Amazon had better watch out. Individuals and interactions over processes and tools – The first point, value people over process. Working software over comprehensive documentation – People (for the moment, robots will get us eventually) write software. Customer collaboration over contract negotiation – People are customers, customers are people too. Collaborating is a people skill. Responding to change over following a plan – People change, part of successfully adopting Agile is to make changing for the better as easy as possible. This means supporting people, and creating an environment they can thrive. Bringing out their best work as a result. Treasuring evangelists (people :D) was a running theme in many of the sessions. To learn, to teach, to affect a change, evangelists are key players. Hoping to build on this and get Jon Tilt in to present to my team. Marcin Floryan’s #NoLearning talk was different to what I expected. Last year his talk the Art of Feedback was a highlight. This year he didn’t disappoint with the premise to learn anything you have to deliberately practise, validate and test under pressure. Challenging yourself with “What have you changed?” as a result of learning. 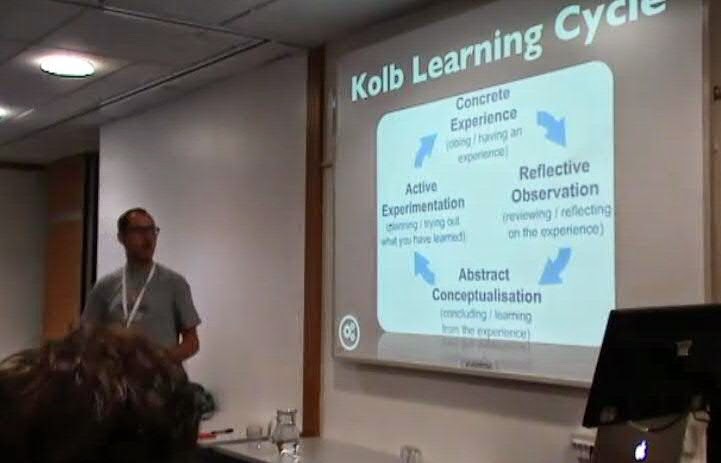 Marcin took this a stage further by introducing Kolb and lots of great examples from History not learning. Expect to get worse before you get better. 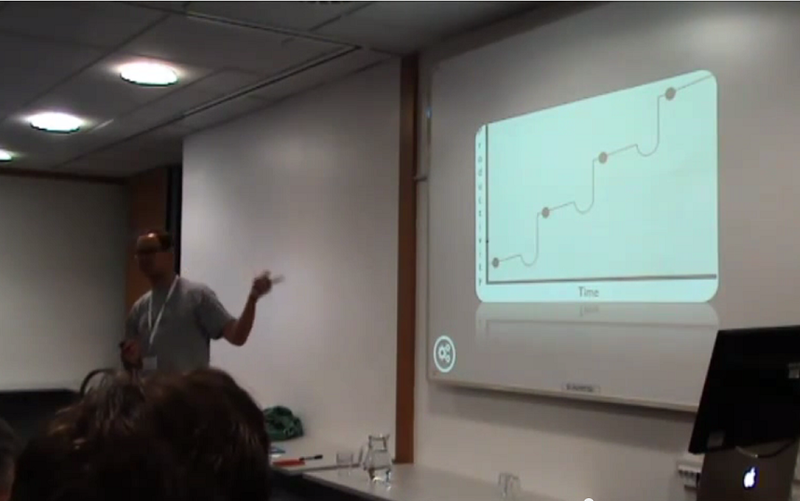 Marcin posted the diagram below showing learning / deliberate practice’s effect on productivity over time. An important point in setting expectations and planning projects. After learning, what have you changed? Another common theme among the team orientated sessions: “Share more of yourself and your skills”. Coaching and sharing knowledge are a performance improving means to demonstrate value to team members. Investing your time helping develop their skills and careers. Too often I find myself thinking “I’ll do that as only I can”. This is the wrong attitude for creating an environment in which everyone can excel and thrive. The closed doors, single point of failure, approach stints the growth of a team, increases risks on projects and even limits your career. By contrast coaching provides an opportunity to validate learning, share skills, and see things from other people’s perspectives. Helping to explore topics further, reduce risk, evenly distribute work, and grow your team. Coaching skills, like most skills, can be learnt and improved. I need to look into coaching course, (deliberately) practise and seek feedback from team members. To validate my learning and ensure I’m improving. More time, more sharing of skills and myself with the team. Feedback to people, on processes, on everything. Feedback is key to growth, successfully changing for the better and a nod to Kaizen. The continual improvement philosophy. Ginni Rometty said: “Don’t let perfect be the enemy of good”. Good enough is a key part of an Agile project: Minimum Viable Products (MVP – Same TLA as Most Valued Player 😀) unlock interaction with stakeholders, and therefore feedback, far earlier. Early feedback enables requirement, priority, and focus changes that result in shipping a better product sooner. Delivering value faster. It sounds obvious but, like with ‘Forecast, don’t estimate’, if you only review things at the end how do you make the right choices during? Satisfaction in the work you’re doing? What went well / What didn’t? Asking for, listening to, giving, and making changes based on feedback demonstrate value to team members and stakeholders. Again obvious but… People feel valued if they are listened to and can see their ideas having an impact. Feedback therefore key to cultivating inclusion, and a team where everyone can thrive. Pia-Maria Thoren, in her talk ‘Agile HR and Agile leadership in a nutshell‘, said “You can’t make a seed grow. You can only nurture it”. This applies at all levels: self, team members, team and product. Feedback is a key way to nurture. Line of sight motivation. Pia shared a slide with two men breaking up rocks and their thoughts. One man looked bored thinking about breaking up rocks. The other was motivated thinking about building a cathedral. Building on the ‘context & why’ lessons learned from 2013’s AOTB. 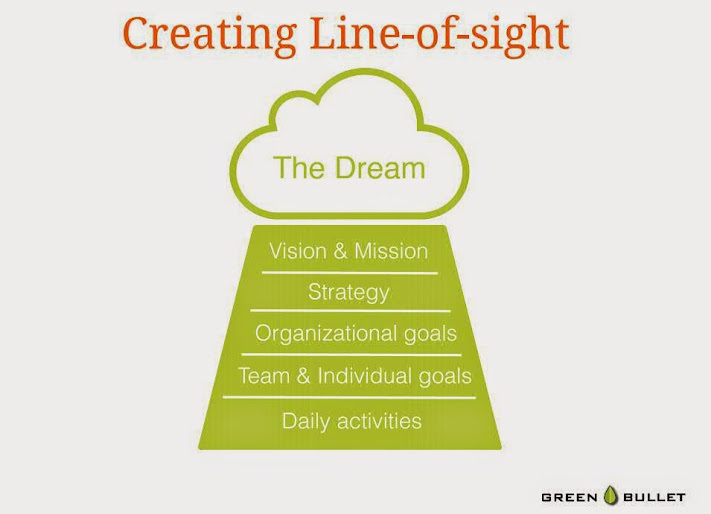 The Burrito Leadership model – Leadership is the bread, just enough to deliver as much filling as possible. The filling is the team’s good work. Feedback, coaching, context, and leadership are all essential parts of nurturing and creating a successful agile team, and building great products. Friday’s Business Keynote from Bjarte Bogsnes: ‘Beyond Budgeting – an agile management model for new business and people realities’ suggested budgeting is broken and needed business to adopt an Agile approach to fix it. Breaking budgets down and converting them into a series of smaller questions. Instead of “Do we have the budget for this?” use “Do we need this, how much value does it create, could it be good enough already?”. Upon a little digging / Googling it appears it is more likely from William Bruce Cameron instead of Einstein. Whoever said it the point is valid especially in the contexts of budgeting, estimating, and planning. An agile approach provides more visibility, flexibility, and automation that lead to higher levels of creativity and productivity. Change and quickly reacting to change become opportunities to build a better product if the budget also becomes agile and constantly focusing on what delivers the most value (as that changes with the business’ need). Sean Moir’s session ‘The String Game’ further built on this by claiming: ‘forecast don’t estimate’. Demonstrated with a clever game of ‘guess the string length’. Combined with a calculation heavy Google Spreadsheet model. Sean suggested deriving a model for a team’s performance: Analysing previous estimates and actuals, calculating ranges, and predicting confidence. Using the model to forecast rather than estimate. The string length game showed how the model lets you gauge confidence and scenario plan. It could forecast with varying confidence if the next strings were going to be longer or shorter. The question ‘Is it going to take longer than X,Y,Z?‘ is a lot easier to answer than ‘how long will this take?‘ especially if you can backup your answer with the model. As an optimist planning is a stressful point. This higher / lower approach to confidence using previous tasks vs. the tasks in question is certainly something we’ll look into. Using actuals data from our CLM reports to create and refine a model, and track our progress. 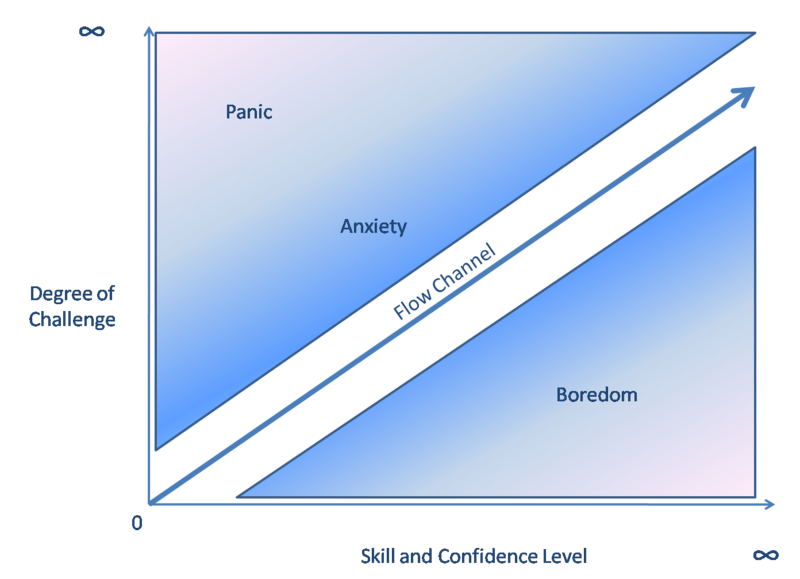 Many of the sessions mentioned the Flow Channel & Flow State. Where performance and productivity are optimal. Many athletes claim being in this state causes time to slow down, and draw a lot of parallels with meditation. Living in the single present moment. I’m keen to delve deeper into this topic especially to improve my swimming, surfing, driving, coaching, and overall well-being. The concept keeps cropping up e.g. * Davis Phinney mentions flow in relation to Parkinsons, and emotionally draws a parallel between everything slowing down when in the flow state and living with Parkingsons. See you at Agile On The Beach 2015? Massive thanks to all who presented and the excellent organising team, rollon 2015! Register your interest here, and see all of 2014’s sessions here. As an added bonus the IBM Rational team were giving away copies of Agile for Dummies, download your free copy here.